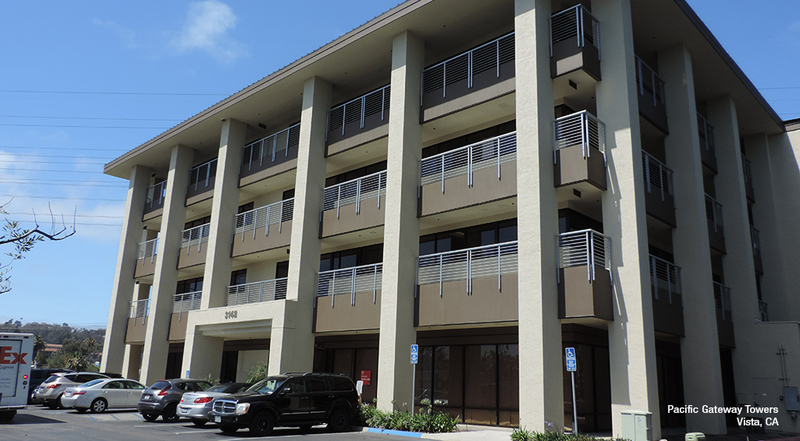 The project consisted of the renovation of Pacific Gateway Towers, a two-building, 68,000-square-foot, multi-tenant medical office project located at 3142 and 3156 Vista Way in Oceanside. Pacific Gateway Towers was purchased in 2014 and the new ownership implemented several capital improvement projects to enhance and upgrade the existing facilities. Dempsey Construction’s project work included a number of substantial capital improvements, including upgrades to both buildings’ interior and exterior as well as overall site improvements. The interior renovation is highlighted by upgrades to common area lobbies, finishes, and hallway corridors and restrooms, with ceiling heights increased to open up the floor plates.